A hired bus will take our group of participants from Mayapur to Ekachakra. We will leave on the 22nd of December 2018 at 5am outside the Main Gate of Mayapur temple. 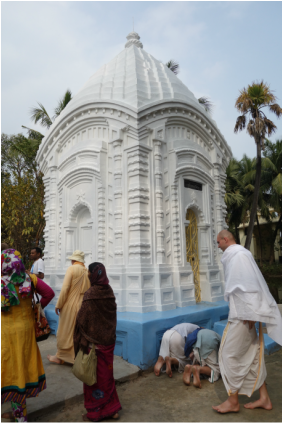 We will return to Mayapur on the 26th of December around lunch time. of a servant. By His potency the spiritual and material worlds manifest. By His potency the Holy Dham manifests. By His potency all living entities, including us, manifest. as all the bony fide Gurus in all the three worlds. He is past, present and future. Srimati Radharani. It is Nityananda Prabhu who recommends us to Srimati Radharani for Her intimate service. Nityananda is the earth we walk on and the legs we walk with. He is everything we experience and consider reality. He is an amazing personality, and the most amazing thing about Him is that He is the most merciful person. Krishna's heart broke when the Pandavas were sent in exil. He loved them all very much and couldn´t bare thoughts of separation from them. But political and social circumstances wouldn´t allow Him to accompany them. But He wanted to ensure their protection and so He gave them His Sudarshan-Chakra. Wherever the Pandavas were staying in exil, Krishna's Sudarshan-Chakra was staying above them, always on guard to protect them. The Pandavas stayed some time in Ekachakra, while in exil. And it was because of the predominant presence of the Sudarshan-Chakra, that the place became known as Ekachakra. This village of Ekachakra was formerly located at the far East end of what is now called Chandrapur. 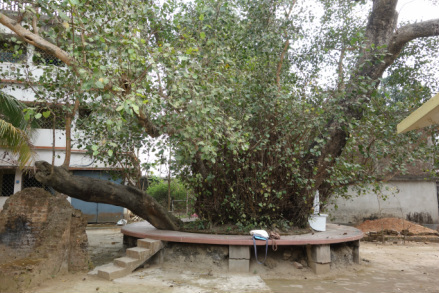 It was centred around the birth- and pastime-places of Lord Nityananda. After Lord Nityananda left Ekachakra at the age of twelve, many of His associates left this world in separation. That prosperous and beautiful village became deserted. 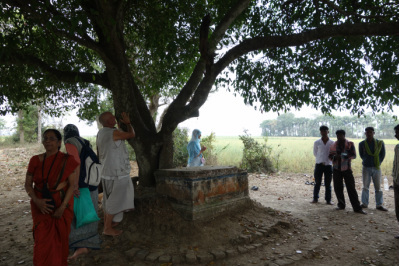 A little later a Muslim settlement developed just next to Nitai´s birth-place. Lord Nityananda´s son, Pira-Candra, sent the Muslims away from this area and re-established the places according to a Vaisnava village. Then the village became known as Pira-Candrapur. It is still known by that name today. If you ever catch a bus to Ekachakra, you have to ask for Pira-Candrapur - not for Ekachakra, because nobody today knows the name Ekachakra. The accommodation during the retreat will be in the new ISKCON Guest House. These facilities will be offered on donation basis. Please come and be our guest - we will feel honored to receive you in Vaisnava hospitality.